Chiropractic treatment is commonly associated with neck pain, back pain, joint pain, and other aches. But any chiropractor will tell you that there’s more to their profession than that. They could provide relief for a lot of different conditions—all of which are related to the musculoskeletal system, meaning your bones, your spine, your joints, and your muscles. Most people would choose conventional medical practices to solve their musculoskeletal problems. But today we will be talking about why you should consider an alternative treatment method: specifically, chiropractic care. Here are some of the lesser known benefits of chiropractic treatment, and why it should be your go-to alternative treatment method. Chiropractors use spinal manipulation to make adjustments in your spine. They make sure that the spine is in proper alignment, in order to facilitate better healing. As we all know, the body has an amazing way of healing itself. But certain problems can slow this process down. Chiropractic care enables the body to heal faster, making it a safe and natural method of treatment. Tension and migraine-induced headaches can be caused by spinal issues, or even just simple back pain. Back misalignment can cause discomfort. It’s good to know that headache is one of the top ailments that chiropractors could treat. It is well-known as a natural treatment for headaches, so might as well try it out for yourself. It shouldn’t come as a surprise that chiropractic treatment is effective when it comes to increasing the blood flow to the brain. But many people aren’t aware of this fact, and chiropractic’s potential to help patients with neurological disorders. Chiropractic can help increase the flow of cerebral fluid as well, so it can significantly help people with conditions like epilepsy and multiple sclerosis. These three conditions have one thing in common: they all affect children, mostly. But chiropractic care can significantly improve these conditions. Chiropractic care can provide a boost in the immune system, helping the child avoid these conditions and heal quickly. If you’re an athlete, or simply someone who loves staying active, you will appreciate chiropractic’s ability to optimize your performance and take it to the next level. It reduces the tension and pain caused by tremendous amounts of physical activity. Athletes are also prone to sports injuries—something that chiropractors can treat in order to reduce their downtime. Even minor car accidents can cause damage to your body. You may find a bit of restriction whenever you’re trying to move. Chiropractors help restore a person’s range of motion, especially after a vehicular accident. 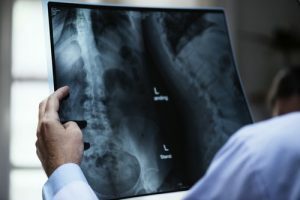 Of course, chiropractors will also help find hidden injuries: injuries that are not readily apparent, which may worsen over time if left untreated. This is not a full list of benefits that chiropractic treatment provides. Learn more by visiting a local chiropractor today!